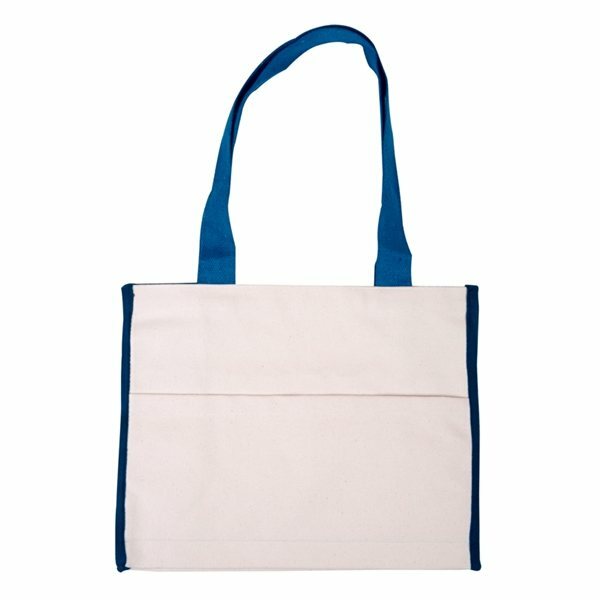 Durable resort tote made of heavy duty 14 oz. 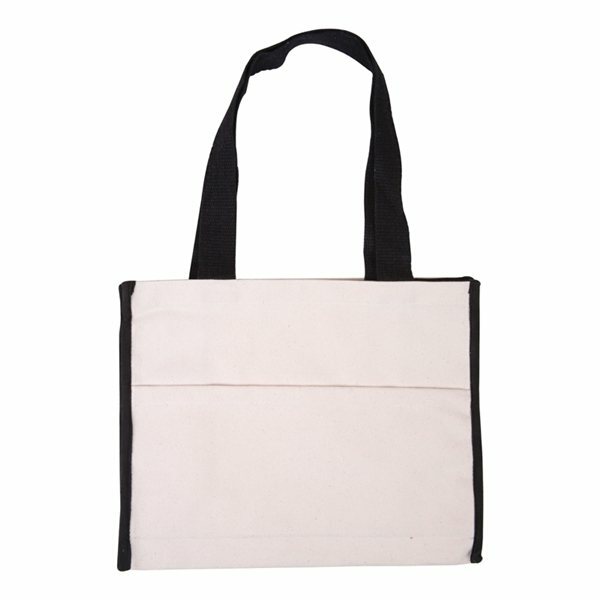 natural cotton canvas. 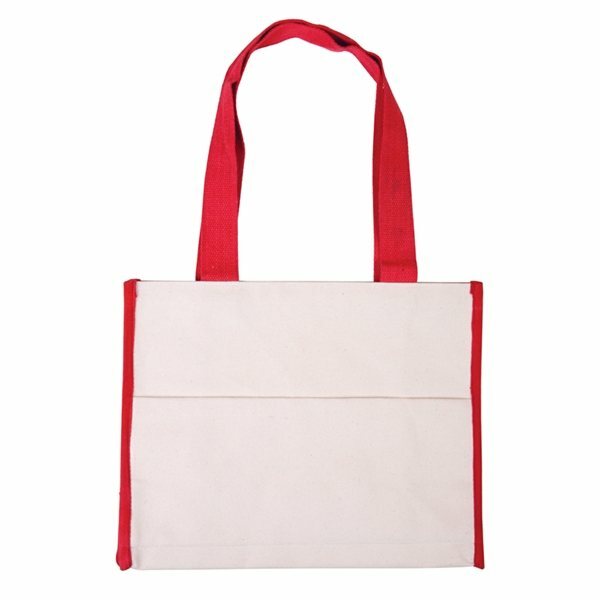 Features color accent gusset with matching color cotton web handles. Handles measure approx. 26"L x 1 1/2"W.
Front outside pocket (approx. 14 1/2"W x 7 1/2"H). Hand wash with damp cloth only. Exactly what we wanted and expected! The totes were just what we expected. 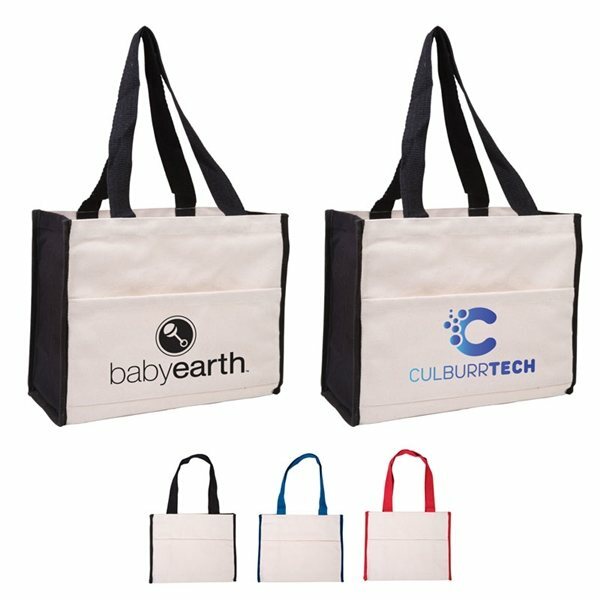 My sales rep Brenda Cortus was excellent and made sure that the totes arrived on time for our event! the quality was better than expected. thank you for everything you did to make this work out on time and in budget. You made me look good! the imprint of our company logo is great. Item and imprint turned out perfect, everyone wanted one. Thank you for the excellent customer service. Turned out superbly. I was not fully satisfied with the logo the company came up with but once I provided the logo I wanted, they did a reasonably good job of making the logo. I will order again from you for my next year as well.